If You Buy A Scion, You'll Probably Buy A Toyota - Cars! Cars! Cars! Archie Bunker: Do you know how to swim? 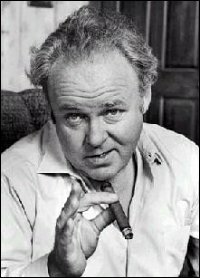 Archie Bunker: Then why don't you go take a flying leap into the middle of Lake Polack? See? Regardless of whether you drive a Scion, a Toyota or a Ford, that's funny!